Curtin, S., & Werker, J. F. (2007). 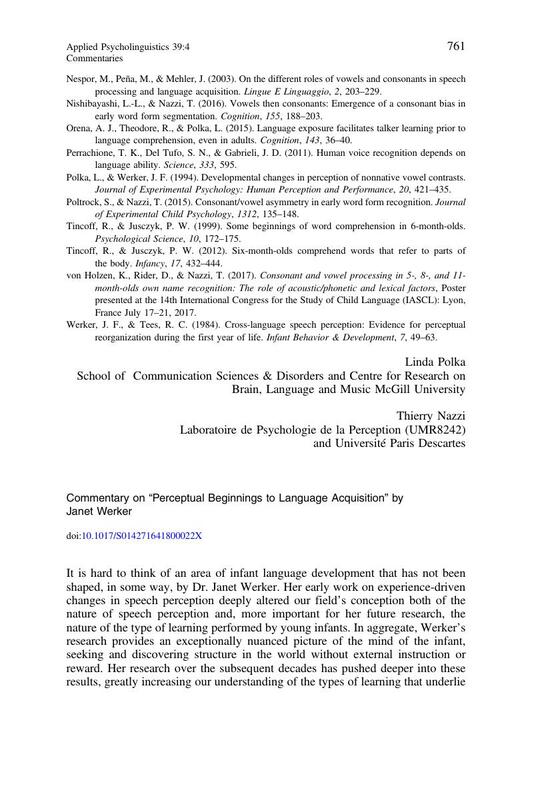 Perceptual foundations of phonological development. In M. Gareth Gaskell, G. T. M. Altmann, P. Bloom, A. Caramazza & P. Levelt (Eds. ), Oxford handbook of psycholinguistics. New York: Oxford University Press.